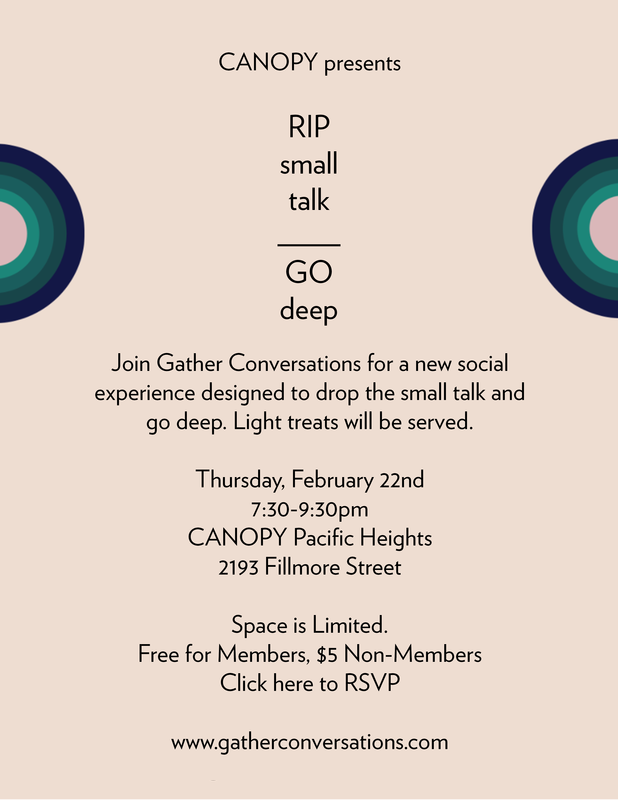 Last night, Thursday, February 22, we hosted Gather Conversations - a new social experience designed to drop the small talk and go deep. Filled with meticulously crafted conversation starters that get each person listening, asking & wondering, Gather catalyzes the conversation journey from beginning to end. Learn more here.